Are you looking for a career in Information Technology? Then come to Red River College’s Open House Technology Fair at Roblin Centre Campus at 160 Princess Street on Tuesday, February 19 at 9:00 a.m. to 2:00 p.m., and 5:00 p.m. to 8:00 p.m.
We will be highlighting the Business Information Technology, Business Technology Management, Information Security, and the Introduction to Business Information Technology programs. We will have information sessions and displays throughout the day to learn what our programs are about. In our Interactive Toy Box we will have our program information tables, information on our May Technology Camps, a very cool Quantum Computing demonstration, and visitors will get down and play with our Lego mindstorms. We will also have 3 different industry projects that our students worked on and completed. Come see what our students can do! At our Hackathon in room A106 visitors will be given instructions to learn the basics of securing your computer system and protect it from hackers. Then you get to test it out! Have you heard about the ACE Project Space on Innovation Alley? Well, we are offering tours throughout the day to take visitors to the ACE Project Space at 321 McDermot to see the space where students work on projects with industry. You will also get to see the MET School exhibition system, and our WheelChair project where students have built a self-training wheelchair. Red River College also offers campus tours throughout the day including an I.T. focused tour that will include a stop at our Networking lab. We will have current students there who will be working on their current assignments, and perhaps a demonstration or two! Our Technology Fair is a great way for anyone interested in a career in I.T. to learn about our programs, see the Campus, and to see what our students can do. You’re invited to the Creative Communications Information Night at 6:00 p.m. on Wednesday, January 30, 2019 at Red River College’s Roblin Centre (160 Princess Street). This two-year, full-time program prepares students to work in professional communications through hands-on training and real-world client work. Our graduate surveys consistently show upward of 80% of graduates quickly find work in business communications, media production and journalism. Learn more online at www.rrc.ca/cre. At the Information Night, you can tour the campus, review student work samples, and chat with staff and students about the program, the application process, and any questions you might have. Everyone is welcome – no RSVP is required. Parking maps for the Exchange District can be found here. The Digital Media Design program provides up-to-date training in web and mobile design and development, digital video, 3D animation, motion graphics and graphic design. It teaches both design fundamentals and technical skills, and encourages creativity, imagination, professionalism and a strong work ethic. 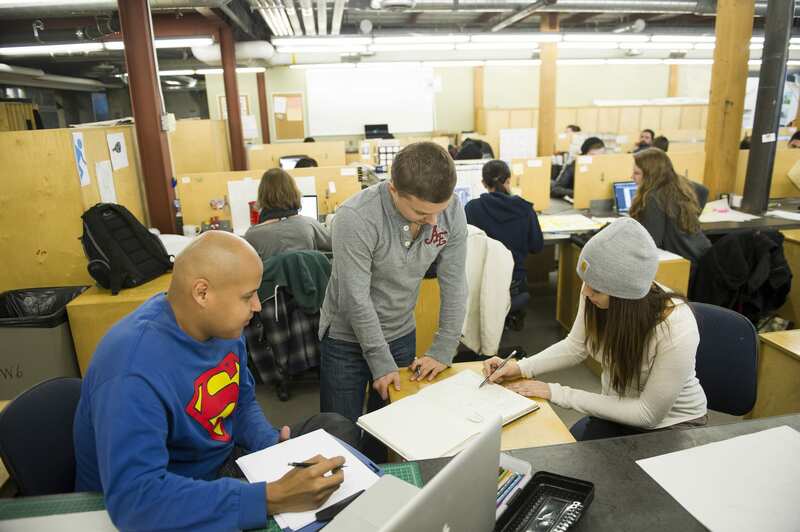 The Digital Media Design Information Night provides a general overview of the program as well as many helpful tips regarding the entrance portfolio. We recommend taking notes and asking questions during the portfolio information part of the evening. Red River College is a proud partner and supporter of apprenticeship training in Manitoba. In this blog post, we will focus on three RRC pre-employment trades programs – Carpentry, Electrical, and Plumbing – to explain how starting at RRC can set you on a path to earning a Red Seal, emblematic of having mastered your chosen trade. What is a pre-employment trades program? A pre-employment trades program is a short-term certificate program, focused on providing the student with a base of skills that will enable him or her to secure a Level 1 Apprenticeship in their chosen trade. While these programs are not mandatory for entering a trade, industry leaders have indicated they would much prefer to hire someone with a base of skill over someone with no skill at all. For Regular Admission, applicants must have completed, or be completing, a high school diploma that includes English, Math, and Science. Please consult the specific requirements in each program to determine the exact credits required. What will I learn in a pre-employment trades program? In all three of the programs highlighted, students will attend RRC full-time for five months. In that time the students will learn applied math, science, and communications, and they will spend significant time in training labs, learning and performing a range of hands-on activities. In Carpentry, for example, students will spend time learning how to operate a variety of hand tools related to construction. What have I gained at the conclusion of a pre-employment trades program? Upon completion, students will have earned a certificate from RRC. More importantly, they will have gained a base of industry-relevant skills designed to qualify them for employment as a Level 1 Apprentice in their chosen trade. Depending on how well the student performed, credit transfer into their apprenticeship might be possible. This could potentially speed up their time to completion. What happens once I become an apprentice? In these highlighted trades, apprentices will work through four levels toward earning a Red Seal, the top credential in their trade. Apprentices spend 1800 hours on the job in each level, with short stints in school to acquire relevant math, science, and communication knowledge as they progress. Want to learn more? To find out more about pre-employment trades programs at RRC, contact us at advisor@rrc.ca. To learn more about apprenticeship opportunities in this province, contact Apprenticeship Manitoba at apprenticeship@gov.mb.ca. A traditional face-to-face meeting is seen as the standard when people are seeking information from an academic advisor. However, we recognize that a visit to the campus is not feasible for everyone looking for academic advice. Considerations such as geography, work schedules, or responsibilities to family can have a significant impact on your ability to consult with an advisor. And while the traditional phone call is always an option, many advisees would like a more meaningful connection as they plan their post-secondary studies. In recognition of this fact, academic advising appointments are now available via Skype and FaceTime. Booking your appointment is simple – just send an e-mail to advisor@rrc.ca, and provide us with the format you want and your contact information. A member of the team will schedule you into the next available appointment time. How do I prepare for the appointment? Shortly after the booking, you will receive a confirmation e-mail with lots of helpful information. For example, you are encouraged to create a list of questions to ask during the session. In addition, please try to compile your education history through high school and any post-secondary transcripts, so the advisor can better understand your qualifications. What do I need for the appointment? Aside from your questions and transcript(s), make sure you are sitting in a comfortable chair in a well-lit room. If you are using a portable device (phone or tablet), be sure it has sufficient charge for the appointment. How do I get Skype, or how do I set up FaceTime on my Apple device? Both tools are very user-friendly, simply go to www.skype.com to be guided through its installation on your PC, laptop, or other device. For FaceTime, we recommend you go to www.apple.com and access the Help feature. You will find easy-to-follow instructions. We look forward to meeting with you online – be sure to contact us at advisor@rrc.ca. Exchange District Campus, 160 Princess St.
• ask questions about the entrance portfolio and see samples of work. If you are considering post-secondary, you do not want to miss this information session. Learn about full-time programs, the admissions process and the various support services that are available. There is something for everyone at Red River College. RRC’s Language Training Centre enrols approximately 1000 students in English language programs every year. Permanent residents and visa students can access a variety of English as an Additional Language (EAL) programs designed to assist them towards life, education, and career goals. Centrally located at 123 Main Street (also known as Union Station), the Centre is easily accessible from all corners of Winnipeg. A dedicated staff provides language proficiency assessments, classroom instruction, student support services, and more. Online learning is especially valuable, as it allows students to build on their in-class learning any time they want. The online language learning tool is designed for specific occupational or educational goals. It is state-of-the-art software that uses vocabulary-building exercises and skill-building activities, advanced speech recognition technology, interactive dialogues, and videos on the topics of your choice. If you would like to inquire about being assessed, or have questions about programming at the LTC, please click here to see a list of contacts at the Centre. If you have questions about post-secondary options at Red River College, speak to an Academic Advisor. Contact us at advisor@rrc.ca, or 204-632-2327.